In most companies, the conference call is a regular part of the workday. It enables parties inside and outside the company to communicate during presentations, client or project meetings, employee discussions, and for training. The modern-day audio conferencing system has many features and capabilities. Thankfully, you don’t have to rely on in-house professionals to know everything. Operator-assisted calls are available from many providers, in which dedicated professionals manage every aspect of the meeting. What Is Operator Assisted Audio Conferencing? An operator assisted audio conference is one managed by a professional operator, dedicated to providing any type of assistance before, during, and after a call. This method is typically preferred for audio conferences that are very large or are part of events that require special attention. You might seek an operator for calls involving investors or the board of directors. The operator generally kicks off the call with a customer provided script and then stays online throughout the entire conference call, assisting with call flow, monitoring call quality and facilitating a question and answer session. An operator-assisted teleconference may begin with an introduction and greeting to participants by the operator, who may gather and screen names or collect information. This designated professional may even dial out to participants so they can join the conference. A pre-conference can be scheduled. During this call, the person leading the conference call and the operator discuss the agenda and any last-minute changes. You’ll discuss the logistics of the call itself. This includes details such as how to pronounce the names of those planning to speak, and who to turn the call over to. Possible components of the call, such as polling and Q&As, are also discussed. With operator assistance, your team can worry less about conference call rules and etiquette. The operator can guide the entire operator-assisted teleconference. Whether it’s a small conference or part of a large event including participants from around the globe, there are many benefits. Assisted conferencing solutions are scalable, but that’s only the tip of the iceberg. US Toll-Free, US Toll number or international toll free dial-in number access to the call. Dial-out for attendees and speakers, whether they’re domestic or international. A list of the names and affiliations of everyone joining the call. Optional Features Include: the setup of an online registration page. This enables participants to register in advance using the details provided in an email. Pre-conference communication includes dial-in numbers so attendees know how to call in. Registration pages can capture the names, companies, and contact information of registrants, which are sent as automatic email reports to conference leaders. 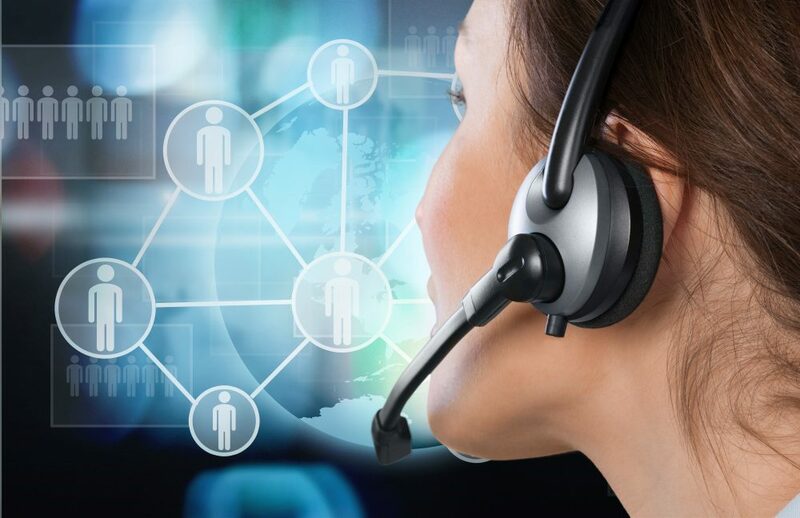 Professional Call Management: Thanks to the voice talent of trained, experienced operators, audio conferencing can accomplish all the goals leaders and attendees expect of it. From professional introductions with standard or custom scripts to instant support at any time, you can receive any level of assistance. Operator assistance includes live operator answer, online/live scheduling, and standing reservations.There are lots of options, too. The operator can make sure only approved attendees can join, mute participant lines when needed, and run Q&A sessions in which participants use the telephone keypad to indicate they have a question. Their line becomes open when it’s their turn (the conference is still audible while they wait). Following an introduction, the questioner’s line is unmuted, so they can speak to the team. Telephone keypad numbers can be used in a similar manner for conducting polling surveys. Post-Call Support: Operator-assisted calls are followed up with attendee reports. Emailed to conference leaders, these cover all the details gathered during the conference call. If you need a written account of the session, a transcription service provides just that. Written information can be used directly in press releases and even newswire services. Calls can also be digitally recorded (and played back via a toll-free number) or saved as .wav or .mp3 files. Callers who listen to recorded conference calls by telephone can respond to it or remotely pause, forward, or rewind the recording. Online Live Conference View, for a real-time view of the operator-assisted call, participant totals, and other information. Customers can also edit Q&A order and manage other events from the user interface. Listen-only mode, which is useful for large conferences, enabling the host to speak before opening the session up to comments, questions, and answers later. Executive sub-conferencing, in which attendees are broken up into groups; over the course of the conference, they can establish private meetings and rejoin the larger conference at any time. Instant operator assistance, so that if a communications coordinator is needed at any time, they can be recalled into the conference by pressing the appropriate number on the keypad. Security: Participants can be provided with unique passcodes and PINs so only those who are invited can join the call. Invitation lists contain the names of all approved attendees. If someone tries to join the conference and does not have a password, they will be denied access or put on hold until approved. The benefits include having only the expected number of people on the call and ensures the protection of sensitive information. Attendees can also be cross-checked against security lists and codes. Support for International Callers: In addition to dial-out to international participants, callers from other countries can dial-in using a US 1+ toll number or an international toll-free access number unique to their country or city. 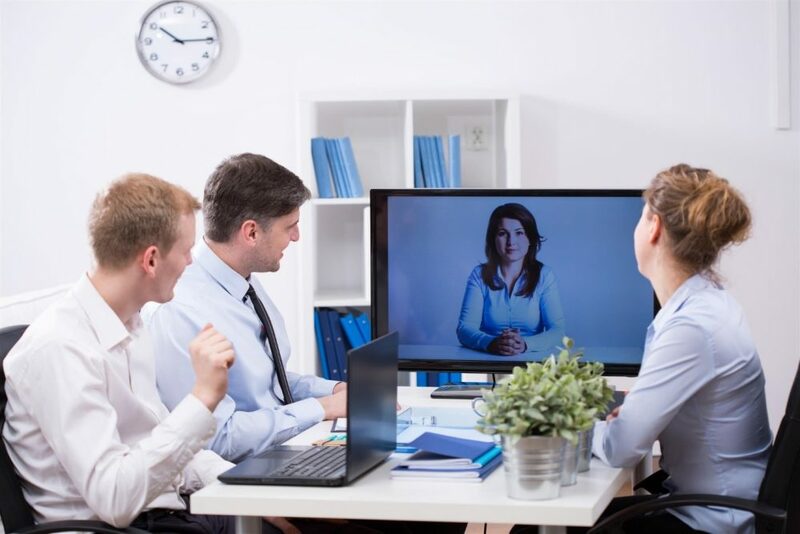 Compatibility with Web Conferencing Systems: An operator-assisted teleconference can be complemented by features of a web conferencing service, such as Adobe Connect. Users can control audio via the internet. They can also share documents and presentations, as well as multimedia content from a cloud library. Files on local computers can be shared as well. Participants can even join in using an iOS or Android mobile device. BroadData Conferencing offers a completely scalable, streamlined system for a small or large conference calls. Each solution is customized in terms of features; customers only pay for who joins the call, not for unused lines or other hidden fees. Low per-minute, per-participant rates are charged regardless of usage, and there are no sign-up fees. The cost of communicating with geographically dispersed teams is, therefore, very affordable. The company also offers a full range of scheduling, consulting, and monitoring services. Reports on conference attendance and other information can be provided as well. Customers benefit by having a full range of data and metrics regarding the call, its contents, and the participants. Your business can benefit in many other ways, too, from pre-conference planning and pre-planned scripts read by the operator to a range of security features. Experienced, dedicated communication specialists can work with your company’s communication strategy to make conference calls productive and effective. Custom features and recordings can tailor each call to the message and goals of your organization or the focus of the conference. BroadData Conferencing can also tailor the solution to the type and size of your business. It works with entrepreneurs and startups, small businesses, and enterprises, all which receive the same features and level of service. As an entrepreneur or start-up company, you can leverage the same capabilities as a corporation and make just as great an impression on associates, customers, and clients. Operator-assisted calls enable you to focus on business, rather than tasks that are better handled by a dedicated professional. You also get full support for the audio conferencing system, plus access to a suite of operator-assisted and reservationless audio and web conferencing products. To learn more about BroadData’s operator-assisted teleconference and other solutions, continue browsing our website, contact us online, or call 877-321-2255.